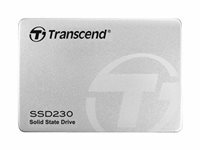 Transcend's SATA hard drive adopts the advanced 3D NAND technology, that features vertical expansion of storage cells by stacking one cell on top of the other. By using only high-quality flash chips and enhanced firmware algorithms, the hard drive is sure to deliver greater performance and reliability. 3D NAND flash is a type of flash memory, in which the memory cells are stacked vertically in multiple layers. 3D NAND is developed to break through density limitations and thus can deliver a greater level of performance and endurance. Transcend's hard drive is equipped with a memory cache, that provides an incredible 4K random read and write performance, making it the perfect choice as a boot drive for everyday computing tasks and programs. Taking full advantage of the SATA interface and built in with SLC caching technology, the hard drive achieves exceptional transfer speeds. In addition to blazing-fast transfer speeds, the hard drive is engineered with a RAID engine and LDPC (low-density parity check) coding, a powerful ECC algorithm, in order to keep your data secure. Built-in wear-leveling technology ensures data integrity during transmission, prolonging the lifespan of the drive. With full support of SATA device sleep mode (DevSleep), the hard drive can prolong notebook battery life by intelligently shutting down the SATA interface, when it is not in use. DevSleep features an ultra-low power state to conserve battery power. With a remarkable response time, you can get back to work instantaneously. The hard drive features an industry-standard form factor. Yet, it measures small, making it supremely well-suited for ultra-thin computing devices, such as Ultrabooks, as well as mainstream PCs. Native Command Queuing (NCQ), TRIM support, Wear Leveling Support, Advanced Garbage Collection, Error Correction Code (ECC), DDR3 DRAM Cache, DevSleep mode, LDPC error correction, S.M.A.R.T.